The Varsity Girls’ Basketball team lost 24-42 against Hamden Hall Country Day on Feb. 5. It was a fast-paced game for the Wyverns as they took on Hamden Hall. KO put on a 1-2-2 press against the opponents and pushed the ball on offense in transition. The team continued to work hard till the very end and crashed the boards on both the offensive and defensive ends. Angelina Maselli '20 and Madi Henry '19 were outstanding with their performance throughout the game and respectively contributed six points and nine points for the Wyverns. Others who played well and contributed points were Audrey Decker '20, Molly Jones '20, Amanda Buckman '19 and Natalia Correa '22. The MS Girls’ A Basketball team won 52-30 against Hamden Hall on Feb. 6. This was a powerful offensive performance for KO, which scored on the fast break and hit a lot of outside shots. This helped the Wyverns get out to a 38-15 halftime lead and they held the lead for the rest of the game. The team had contributions from everyone thanks to great ball distribution. Jordan DiMauro ’23 scored 20 points, including an impressive 16 in the first half. Alle Kotowitz ’23 got on the board with six points and played solid defense. Emily Knowles ’25 also had a great game, scoring 13 points and helping run the fast break. Alex Arnold ’23 and Lia Arnold ’25 made big contributions rebounding the ball, and each scored four points. This was one of KO’s most complete games of the season, with a strong offensive showing and tough team defense. The JV Girls’ Basketball team won against Pomfret 58-15 on Feb. 6. Leading from the start of the game, KO won due to solid defense, early transition baskets, and solid half-court offense. Eight players scored with Emma Henry '21 and Cici Chagon '21 scoring in double figures with 14 and 10 points respectively. The JV Boys’ Basketball team won 56-52 against Loomis Chaffee on Feb. 6. KO played a great game vs a strong Loomis team on the road. Wes Pierce ’20 and Nate Capodice ’21 led the scoring with 13 and 12 points. Sam Capodice ’20 and Christian Pedro ’22 contributed 10 points as well with two three-pointers apiece. Chris Sienko ’21 played outstanding defense and helped control the ball from the guard position. Pierce was dominant on the boards with numerous rebounds throughout the game. The MS Girls’ B Basketball team won 12-5 against The Foote School on Feb. 6. The girls played with heart, drive, and determination. Madison Bromberg ‘24 was the leading scorer with six points. Margaret Miller ‘25, Jillian Alexander ‘24, and Kelly Stepnowski ‘24 each added two points to the total. The posts played an aggressive game in the paint and the guards did a solid job shooting and handling the ball. Ava Leshem ‘24 had the game of her career stealing the ball multiple times and playing excellent defense. These players played as a team and outhustled the Foote players in all aspects of the game. I am proud of them. The Varsity Girls’ Basketball team lost against Green Farms Academy 26-41 on Feb. 2. The team started strong going against Greens Farms Academy creating turnovers with their full court press and pushing the ball up the court looking for their open teammates. During the entire game, KO was aggressive on both ends of the court rebounding and fighting for every loose ball. Scoring for the Wyverns was led by Angelina Maselli ’20, Lindsay Bailey ’22 and Jane Dunbar ’19 who all had six points each. Others who played well were Amanda Buckman ‘19, Natalia Correa ‘22 and Megan Murphy ‘22. The Varsity Girls’ Swimming & Diving team swam against St. George’s and The Windsor School on Feb. 2 and came away with a 40-53 loss against St. George’s and a 19-70 loss against Windsor. 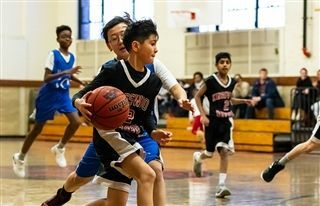 After a long drive, the Wyverns put up a strong fight against the Dragons and the Wildcats. There were many season bests throughout the day. In the Girls’ 200-yard Medley Relay, Ahana Nagarkatti ‘21, Risha Ranjan ‘21, Stella Risinger ‘22 and Sarah Cioffi ‘23 placed fourth with a finishing time 2:18.30. Ranjan and Esha Shrivastav ‘21 took fourth and fifth respectively in the 200-yard Free. Nagarkatti and Risinger placed fourth and fifth in the 200 IM. Lily Liu ‘22 and Jane Liang ‘21 posted personal best in the 50 yard Free. In a close race, Risinger came in second in the 100 Fly in a time of 1:11.88 and Maggie Dwyer '23 came in third in a time of 1:12.72. Cioffi and Shrivastav both had a season-best in the 100 Free coming in at a time of 1:04.27 and 1:08.58 respectively. Nagarkatti once again rocked the 500 Free. In the 200 yard Free Relay, Cioffi, Serafina Squatrito ‘22, Risinger, and Dwyer came in third in a time of 2:00.65. In the 100 yard Backstroke, Ranjan and Cai Kuivila ‘21 both had a season-best coming in at a time of 1:14.08 and 1:24.81 respectively. In the 100 yard Breaststroke, Liu and Squatrito both swam personal bests. For the last event of the day, Dwyer, Ranjan, Cioffi, and Nagarkatti swam a great 400 Free Relay in a time of 4:22.81. The girls put forth their best effort and overall had a great day at the pool. Well done, ladies! Congratulations to the Varsity Girls’ Squash team for winning nationals! On Friday, Feb. 1, the team won by forfeit against Nardin Academy (from Buffalo, NY - snow travel problems). On Saturday, Feb. 2, the Wyverns won 6-1 against Squash Smarts Varsity from Philadelphia. In their first real match of the tournament, KO players took some time to adjust to the environment and to the strategy of our opponent, but eventually dug in and found their groove. Ananya Alleyne '19 and Ely Alleyne '23 started the team off strong with a pair of convincing wins (3-1 and 3-0) at the number two and seven spots, respectively. With a 3-0 win in the number one spot, Sydney Smith '21 showed off her hard work in practice earlier in the week by producing fast-paced, precise shots that kept her opponent from getting a solid footing. Cami Berckemeyer '19 and Amelia Levine '20 maintained their focus and determination to win their matches 3-2 in the number three and six spots. Next, KO competed against Moses Brown School (from Providence) and won 6-1. With match play in full swing at this point in the tournament, the Wyverns were ready for their second match from the very start. They won five out of seven of the individual matches 3-0. Izzy Berckemeyer '21 had a clinical performance to accomplish her 3-0 win in the number four spot. Claudia Petrie '19 dug in to save her second game in extra points (13-11) and finished strong in the third game to win 3-0 as well. On Sunday, Feb. 3, KO won 5-2 against Buffalo Seminary (from Buffalo, NY). The championship match is always a lot for a player's nerves, but the Wyvern players pulled through the pressure to carry their team to the Division 5 title. Ananya Alleyne '19, Izzy Berckemeyer '21, Amelia Levine '20, and Ely Alleyne '23 dispelled all doubts by dominating the center of the court and pulling off 3-0 wins for the team. Sydney Smith '21 and Claudia Petrie '19 had hard-fought, 3-2 losses that demonstrated the team's competitive grit throughout the tournament. Cami Berckemeyer '19 showcased her adaptability and fluid strategy with a 3-1 win in the number three spot. Congratulations D5 champion Wyverns! The MS Squash team won against Miss Porter’s School 6-0 on Feb. 1. The team thanked intramural players Owen Caligiuri ‘24 and Arav Kumar ‘23 for competing with them during the match. Both played strong games! The MS Squash team won 6-1 against the Wyvern Squash Club on Feb. 2. The KO squash team competed in their second match of the week on Saturday morning. The players worked hard and earned another win, with Cole Banning ‘24 and Jack Krieble ‘25 stepping up to the plate to fill in for number one and two players.